Waste into Value, is the project for unemployed homeless adults who live on the streets without basic needs in Pondicherry. Snehan have created a space for the willing homeless adults to earn their livelihood through paper bags making. This activity is so simple and easy, for even the old and disabled person can do without much effort. during the work, they can watch television, talk to each-other, creak jokes, have fun and so on. Through this activities our beneficiaries have a option to earn from Rs.50/- to Rs.150/- per day. They have the choice of flexible working time. They can come for two hours, three hours, five hours or eight hours, its up to their choice. The payment for their work would be made on weekly basses. The center is open from morning 8:00 to evening 6:00.The lunch would be provided for the needy person who is working with us during the day for just Rs.5/-. They can pay the lunch amount on the day they receive their working payment. Snehan collects this small amount to make them feel that, they eat their food with their earnings. 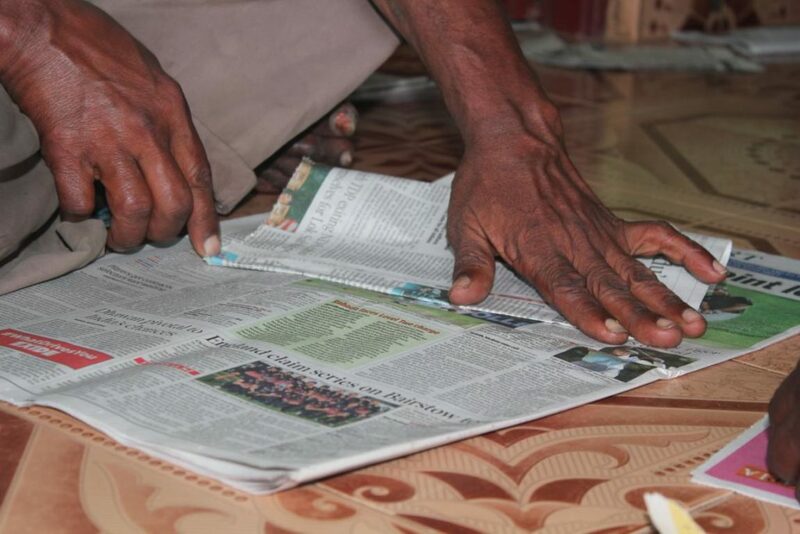 Would you donate, your old newspapers on monthly bases for our income-generating activities? Come and join hands together, lets bring changes among the deprived in our society.